This is what the scene near Stranahan Park looked like a year ago when Fort Lauderdale city employees carried out an order to clear the area. 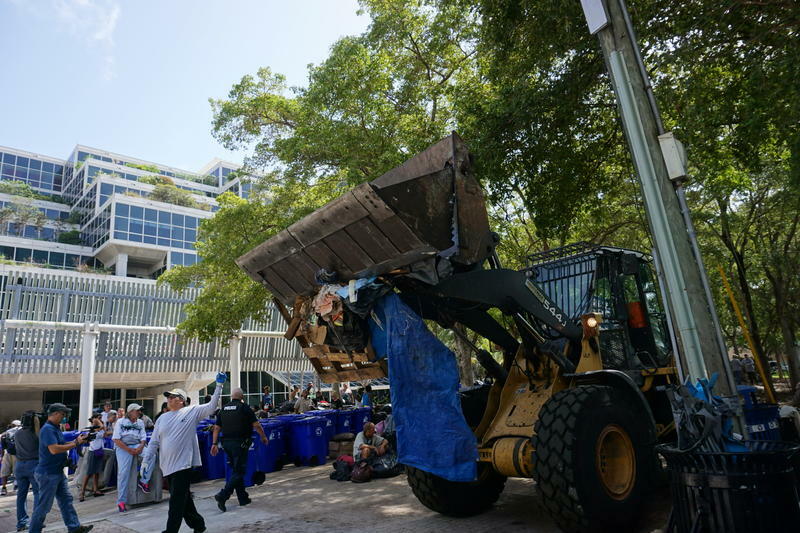 Now, Dior and 15 other defendants are suing the city for the destruction of personal property, alleging that the City of Fort Lauderdale violated the fourth and 14th amendments that day. The American Civil Liberties Union filed the case last year on their behalf, with legal support from the Southern Legal Counsel. Hearings have continued this month, and a trial is set for August if settlements can’t be negotiated. In the meantime, many of the same people who were kicked out have moved back into the camp - including Dior. The camp, which dates back decades, is in a strip of park space between the Fort Lauderdale Woman’s Club and Downtown Library. A year ago, downtown businesses who felt the camp repelled customers rallied the city to make a change. The front-end loader on May 19, 2017 by Stranahan park. Dior said she saw her belongings scooped up and thrown into the bins. 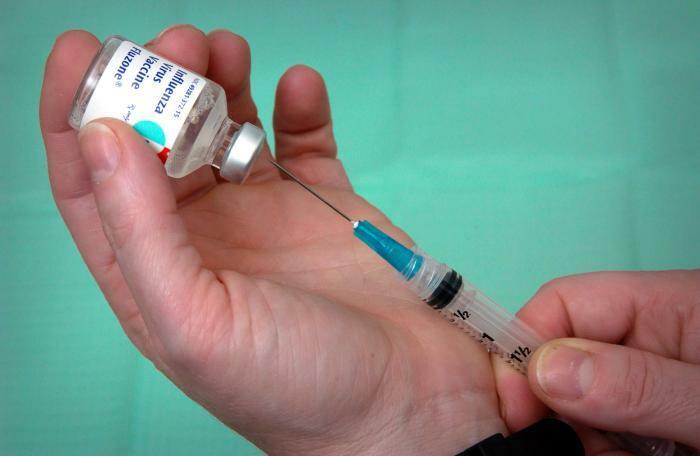 City officials then asked the Department of Health for a code violation. They cited rats as a sanitation threat to public safety. Four days later, the park was cleared. “The city manager [Lee Feldman] never discussed it with the commission, the city manager never got the permission of the commission,” Trantalis said. Kirsten Anderson, an attorney at the Southern Legal Counsel, looks at these situations statewide. She said there’s a reason that the homeless have returned. 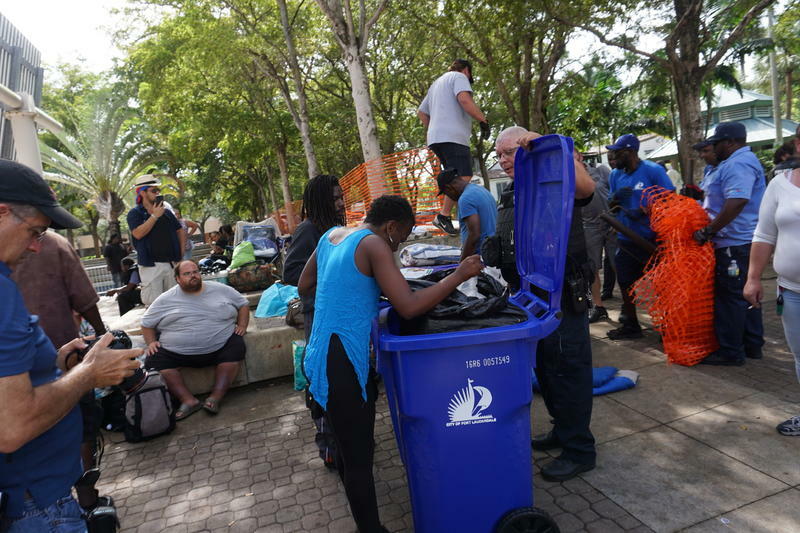 “I think what Fort Lauderdale has found is that it’s ineffective and it’s cruel and does nothing to address the underlying causes of homelessness,” she said. The Fort Lauderdale police department was the main agency ordered to clear the park. It declined to comment because of the pending litigation. But homelessness and the downtown camp remain at the forefront of city issues. On May 1, Nathan Pim came to speak at a Fort Lauderdale City Commission meeting. He works in the city and said he wants a long-term solution. “There’s probably between 30 to 40 tents there now, it’s basically a tiny village,” he told commissioners. 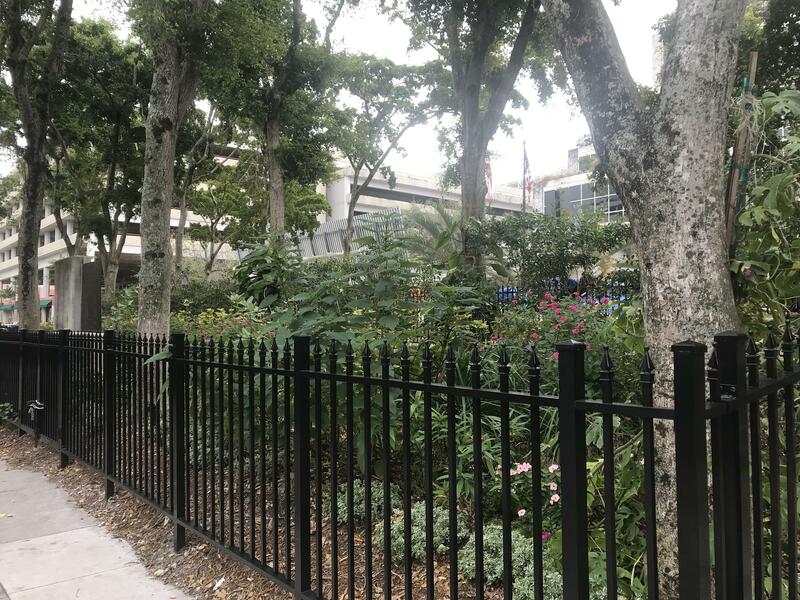 This fenced-in garden was planted on the city's land, in between the tent area and the Fort Lauderdale Womens' Club, months after the clearing. This week, the city announced a new partnership between the Greater Fort Lauderdale Alliance and the United Way of Broward County. 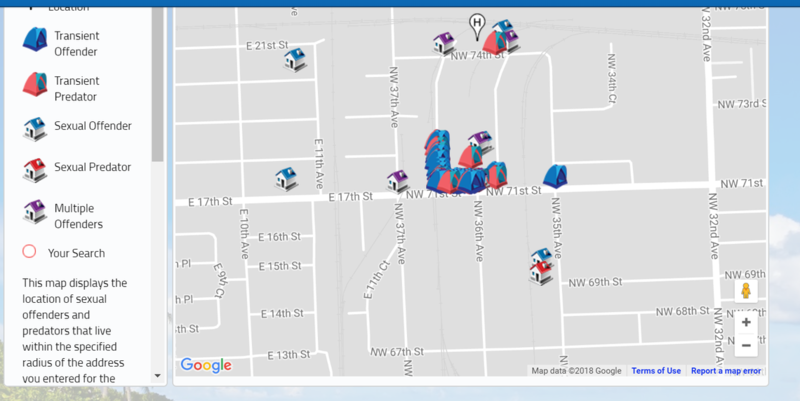 The organization will be called the Broward Business Council on Homelessness, for the purpose of dedicating private business investments to permanent housing solutions for some of the homeless that currently live near Stranahan Park. But that won’t happen immediately. In the meantime, Dior said it’s precisely because of the tent village that she felt secure enough to come back. This story has been updated. It previously stated Kirsten Andersen works for Southern Poverty Law Center, not the Southern Legal Counsel. We regret the error.